Pokemon GO is all set to get another MASSIVE feature this Summer, as Niantic today announced the unveiling of new Friends and Trading features coming to the game “soon”. 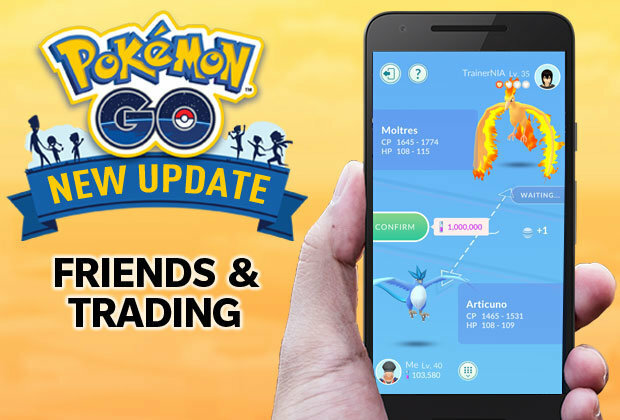 The new Friends feature will allow Trainers to add other players to their Friends List for the first time, while adding more opportunities to receive special items and the ability to build their Friendship levels. Trading, one of the most iconic features in the Pokémon series, will arrive to Pokémon GO soon, and unlock the ability for Trainers to trade their Pokémon to friends that are nearby. An exact release date for the new features isn’t mentioned, but we’re assured it will be during the Pokemon GO Summer Tour, which begins in Dortmund, Germany on June 30 and July 1.